The Sims 4 Get Famous Expansion Pack comes with an interesting twist that proves that having a Celebrity Lifestyle isn’t all easy. With Celebrity Perks come Celebrity Quirks. Unlike with a similar system that’s introduced with The Sims 4 Vampires Game Pack where choosing a Perk would sometime result in having to choose a Side Effect, this time around Quirks are assigned to Celebrity Sims often randomly through a series of different interactions. 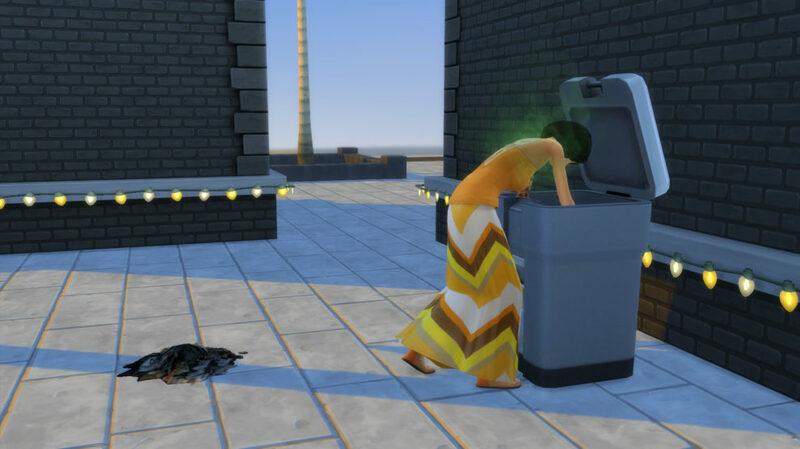 These quirks often don’t give your Sim a truly bad side effect, although some of them can be an annoyance for both you and your Sim. Down below we’ll be listing all of the Quirks, how your Sims can obtain them and what they mean for your Sims. Trigger: Being touched by strangers with less Fame than your Sim. Behavior: Celebrities are forced to live their lives with little privacy, but invasions of their personal space still crosses a line. 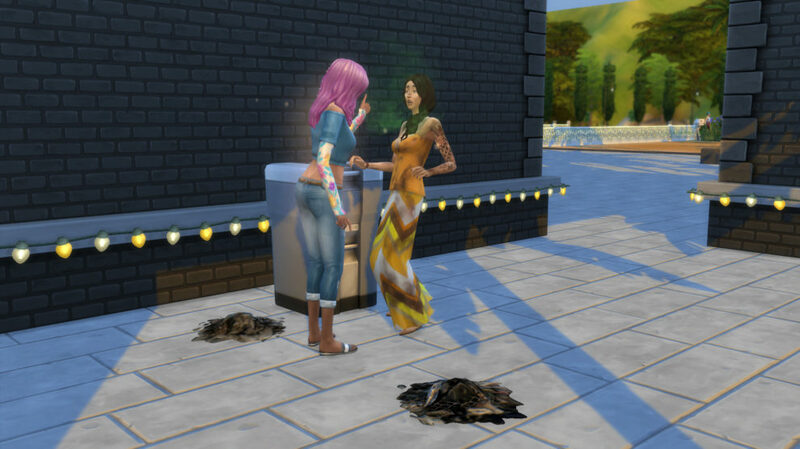 When they find themselves touched by non-famous Sims who aren’t in their family, or who they aren’t in a commited relationship with, they may grow to dread physical contact. They put on a smile for a fan who wants a friendly hug, but inside they feel tense, unhappy about the lack of respect for their boundaries. However, should they manage to avoid direct contact for awhile, they gain renewed sense of confidence to take on the world. The upside of this quirk is that Sims will get a confidence boost after successfully avoiding any physical contact with a lower level Celebrity for a certain period. Trigger: Eating “Excellent” Quality Meals. Behavior: With fame comes fortune, and with fortune comes an expectation for the finer things in life. Such is the burden that some celebrities must endure. For these Sims, once they’ve gained a taste for the finest foods, there’s simply no going back to just any old meal. These celebrities will find eating food that’s of “Excellent” quality most delightful, but they’ll turn their nose up in discomfort when forced to swallow food that’s “Normal”, or–dare I say–“Poor”. With this quirk Sims who eat an excellent meal will get a +3 Happy boost. 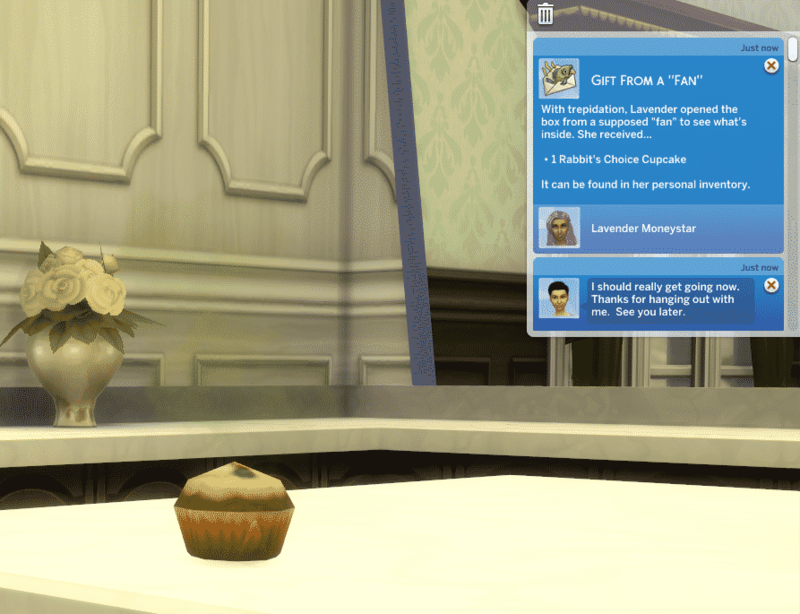 However, eating anything less than that will give them a +1 Uncomfortable moodlet. Trigger: Frequent use of mirrors. Behavior: Maintaining a gorgeous appearance is of peak importance to celebrities…you never know when a paparazzi is going to pop out and snap a shot after all. This can lead to an inflated ego, and mirrors become a necessary crutch to constantly reaffirm that, yes… they’re still gorgeous. Admiring their own reflection can instill a celebrity with confidence, but they also become anxious if they’re seperated from a mirror for too long. Staying away from the mirror will make your Sims tense. However, they can quickly fix that by interacting with the mirror and selecting “Admire Fine Self” interaction which will then give them a confidence boost. Trigger: Signing autographs for fans. Behavior: Some fans take fandom a bit too seriously. These misguided Sims are known amongst celebrities as “stans”. Thankfully stans don’t mean you any harm, they just have a burning desire for you to know that you’re the center of their universe. Their behavior manifest itself in a variety of ways, from attempting to chat with you while out in public, to showing up at your residence and digging through your trash cans. Should you choose to invite one into your home, keep a close eye on them… They’ll always look for a chance to swipe a souvenir from their favorite superstar. 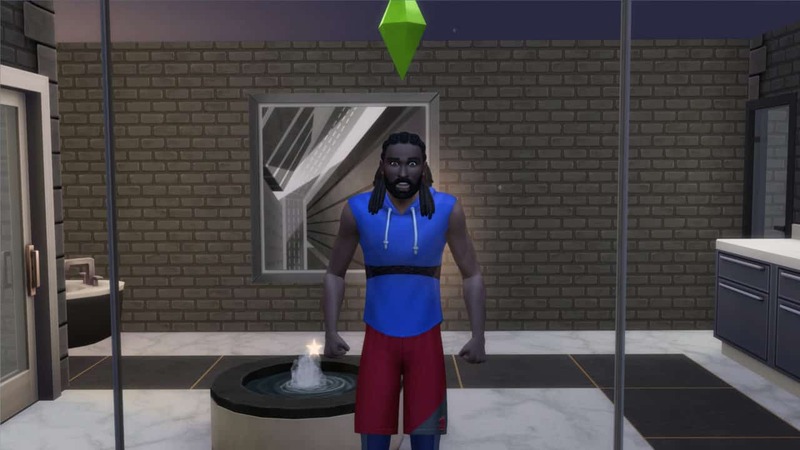 This quirk will make sure that your Sim gets assigned with a Stan – an NPC that will often follow your Sim wherever they go – including their own residental home. One of the usual occurances is a Stan rummaging through your trash can. Behavior: Celebrities that are Juice Enthusiasts find themselves always wanting a drink of juice. If they don’t regularly drink juice, they’ll slip into foul moods, and will have a difficult time raising their Fun. Sims with this quirk will often get very tense and uncomfortable moodlets if they don’t visit the bar way too often. However after ordering and drinking any drink from the bar your Sims will be satisfied for a certain period. Behavior: When the world rotates around you, it’s easy to become the emotional center of your own universe. For these celebrities, anything angering will cause them to fly off the handle and become enraged. Anything that saddens them requires the world to stop as they struggle to process their feelings. These intense outbursts don’t last long…After working through an emotional meltdown, they’re back to acting as if nothing was ever wrong at all. The description of this quirk is pretty self-explanatory. However, it’s worth noting that this quirk will easily lead up to death by anger if you don’t take care of your Sims properly. For example if your Sim gets into a Very Angry state they’ll be getting the +8 Angry Moodlet that won’t last for long but could still be enough to trigger the death. Trigger: Being friendly to paparazzi. Behavior: Some celebrities simply adore being in front of the camera, and the paparazzi are happy to oblige. Celebrities that are Paparazzi Darlings will attract bigger crowds of paparazzi, they’ll love having their photo taken, and they may earn positive reputation when their picture is taken. Although not a completely negative quirk, your Sim will have a lot more paparazzis following them around which means more disturbances in their everyday activities. Trigger: Celebrity socialization with fans. Behavior: Celebrities who open themselves up to the adoring public are occasionally in for a rude awakening, when they discover that not every Sim is a true fan. In reality, there are some Sims who actively dislike celebrities, and will make it a priority to ensure the target of their ire receives frequent “gifts” in the mail. Try not to take it personally. Your Celebrity Sim is going to go through a rollercoaster of different items being put in their mailbox…daily. From spoiled cupcakes to rotten fish there’s a lot of unpleasant surprises that await your Sim! Behavior: The acting studio is not the place for pranks or jokes, especially for an actor trying to evoke the right emotion during a dramatic scene. Such behavior frays on the concentration of actors, and eventually they snap. Anytime anyone attempts something funny or mischievous with a serious actor, they’ll show their anger instead of cracking a smile. They’ll hold everyone accountable for their professionalism on set, and anyone that steps out of line can expect to be the subject of a furious rant. It’s simple – Actor Sims with this quirk will definitely not enjoy any jokes or funny interactions and will usually put them in an Angry mood. Trigger: Using Social Interactions on the phone. Behavior: Celebrities with the Public Number quirk have had their phone number leak, and must endure receiving text messages from various Sims each day. Some Sims are just thrilled to have the chance to contact someone famous. 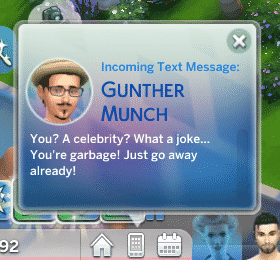 Other Sims are quick to express their dislike of the rich and famous. Regardless, everyone has an opinion…and they’re eager to share it. Having your number out in the public is both a blessing and a curse. Sims with this quirk will get all sorts of messages on their phone – both positive and negative that will accordingly influence their mood. Trigger: Using a cell phone for entertainment. Behavior: Celebrities who are Phone Fanatics are addicted to checking their phones. Whenever they have spare time, you’ll likely find them tapping away at their phone’s screen. Occasionally, they’ll become Tense if they haven’t been entertained by their phone recently. 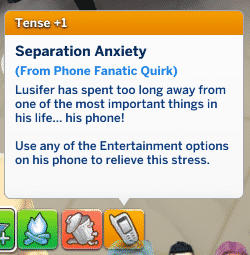 Sims with the Phone Fanatic Quirk will become Tense if they don’t play around with their phone for a certain amount of time. You can quickly fix that by interacting with the phone (browsing the net, playing mobile video games, interacting on social media and more). Trigger: Touching Celebrities with more Fame than your Sim. Behavior: For some celebrities, hobnobbing with the rich and famous become a way of life. They get sad if they spend too long amongst the general public, seperated from other celebrities that they can actually relate to. They find themselves drawn to increasingly famous Sims, always seeking out the companionship and personal touch of those who are–at minimum–equally as famous as themselves. With this quirk Sims will feel an extremely high need to get in touch and socialize with celebrities that are on their Celebrity Level or above. Spending too much time with the “regulars” or Sims below their Celebrity Level will give them a sad moodlet. Great tutorial to how to get the quirks, but almot all are really anoying and useless. Kind of a bad joke from EA.